Jack was our assessment from today! This Labrador Retriever weighs seventy pounds, and is one in a half years old. 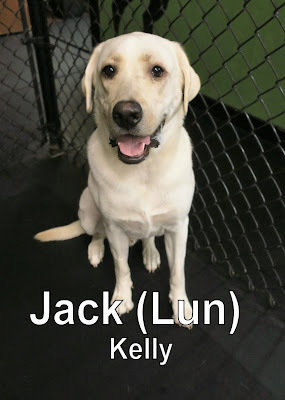 Jack joined our Large Dog Program bright 'n early this morning, with curiosity and wonder in his eyes. He had a good overall day, and even made a buddy; what's funny about his new friend, is he looks just like him! Check out Chedder, who has been coming to The Fort since 2014.